Welcome to the Official Chroma Squad wiki! 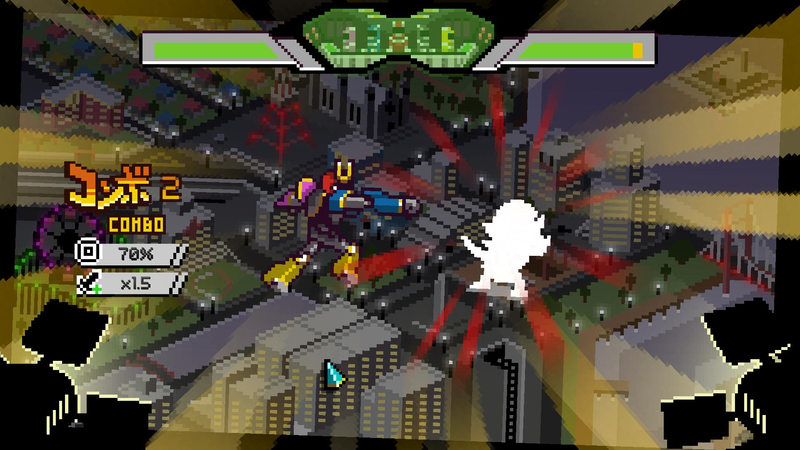 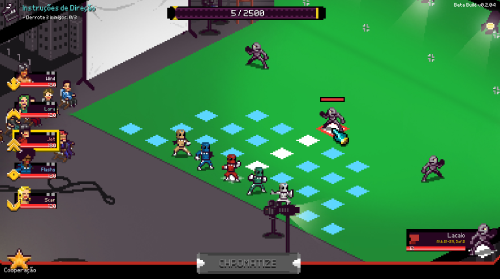 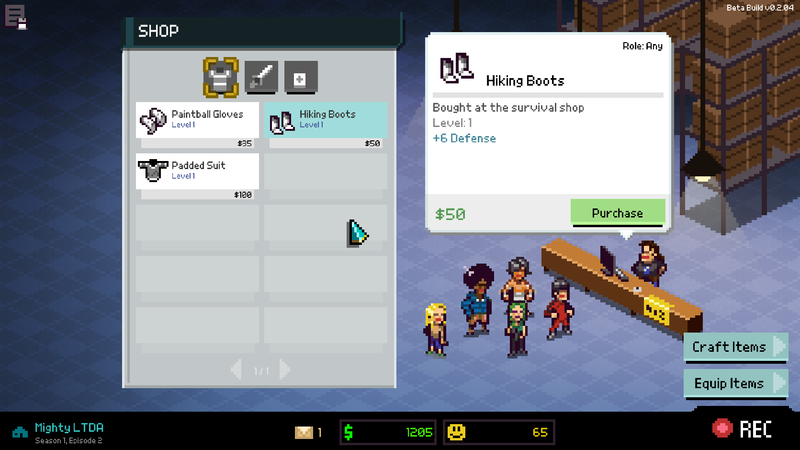 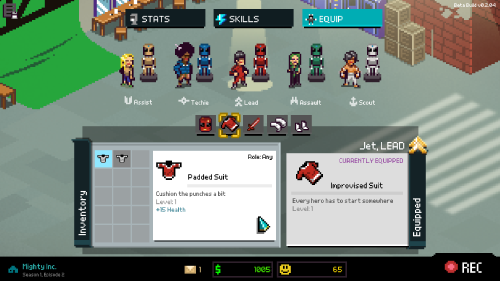 Chroma Squad is a tactical turn-based manager game from Behold Studios, with sentai heroes and old-school pixel art! Everything you want in a fresh indie game! 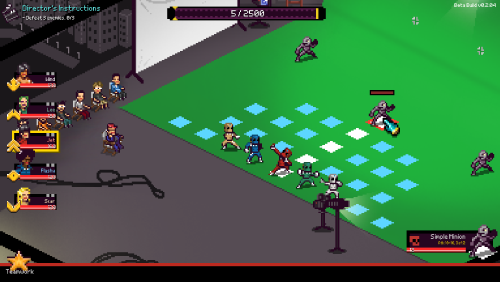 Funded by Kickstarter and Greenlit on Steam. 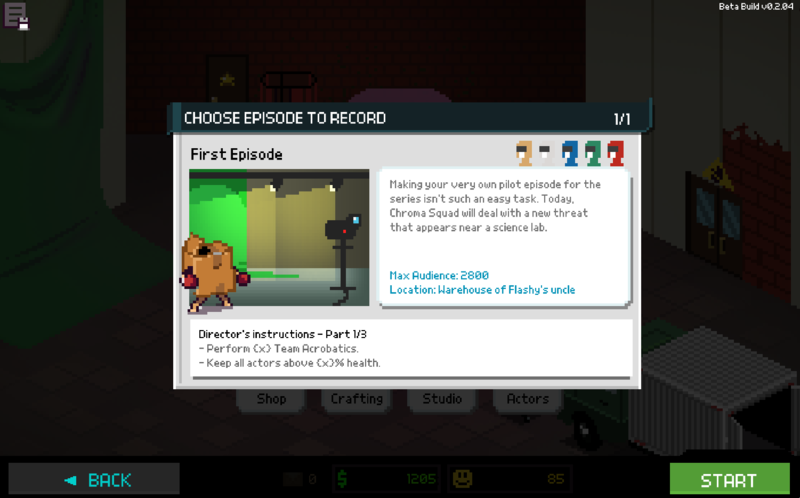 In this game you become responsible for managing and recording episodes for a sentai TV studio. The main story of the game is about a group of stuntmen who decide to start their own sentai TV studio. 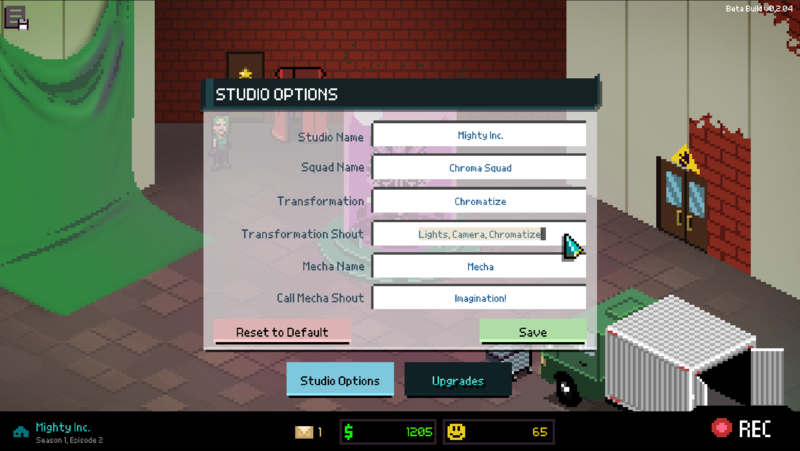 You become their manager, hiring actors, purchasing awesome cameras, and making everything explode with your special effects. But their adventure becomes so exciting, that they start thinking that everything is actually real. 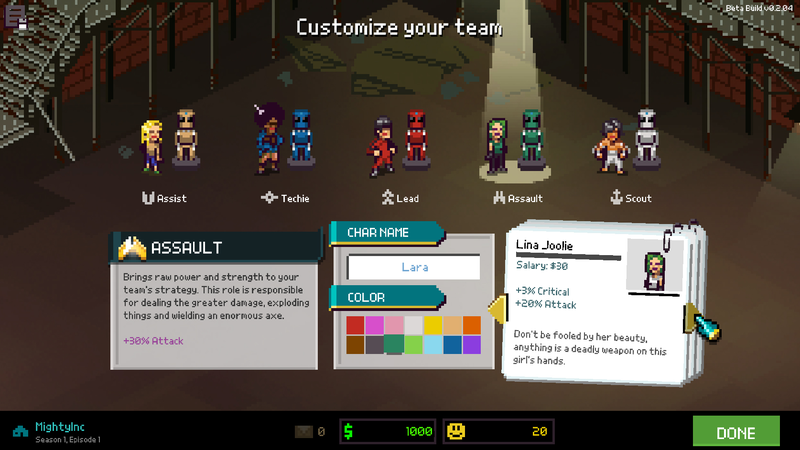 Your squad consists of five members, each with their own color jumpsuit and skill tree. 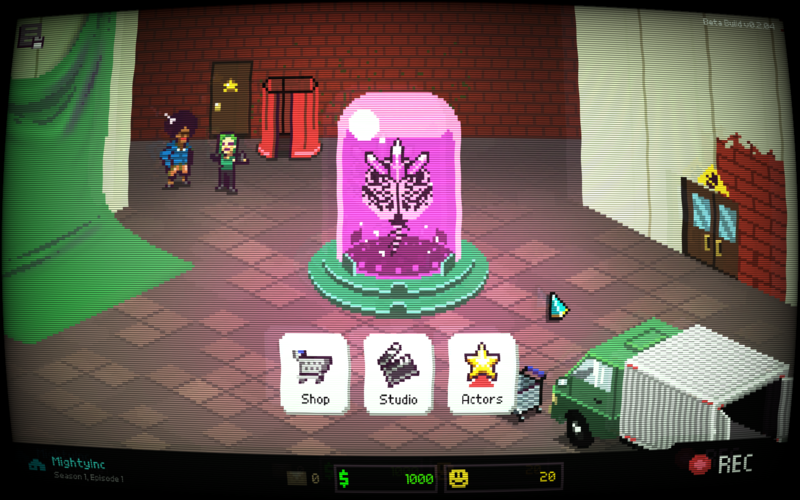 Released: April 30th, 2015, on PC, Mac/Linux. We are currently maintaining 502 pages (127 articles)! 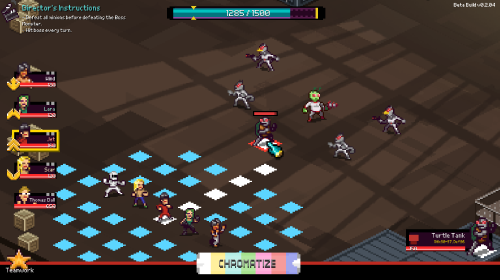 See how you can help contribute to the Chroma Squad Wiki! Remember to maintain a standard for grammar and punctuation in your contributions, please. 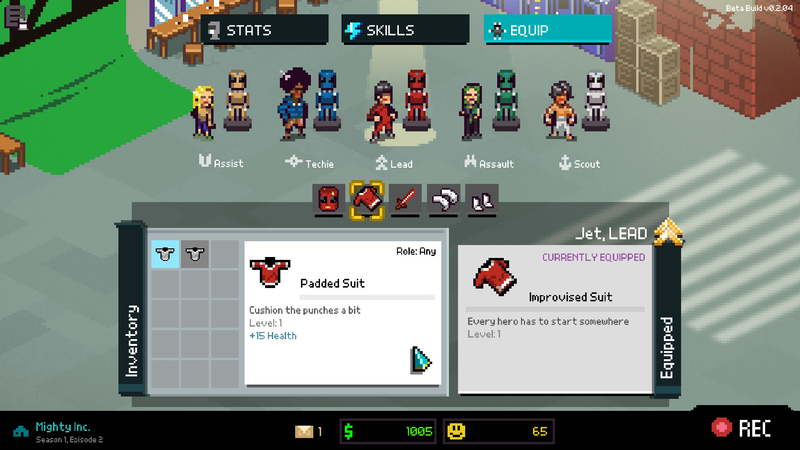 This page was last edited on 17 October 2018, at 13:48.